When it comes to the brewery and distillation market Vapor Power is the right mix with steam equipment for small and large applications. 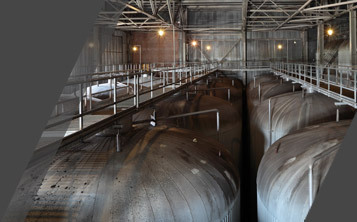 A Modulatic steam generator skid packaged with a feedwater system, blowdown separator, and softener saves engineering and installation expenses for craft breweries. The compact footprint requires minimal floor space, creating more building space for production equipment. For larger breweries, a Circulatic has capacities up to 600 BHP. 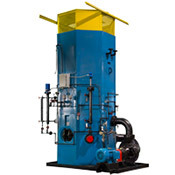 Fast startup from a cold condition and the ability to quickly react to steam load changes saves fuel and minimize operating costs compared to fire tube steam boilers that require several hours to warm up. Another option may be an electrode steam boiler. 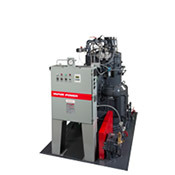 The BBJ line of electrode steam boilers are available in sizes from 3,000 to 34,000KW, 10,000 to 113,000 PPH and supply voltage of 4,160 to 13,800 volts. The efficiency of the BBJ is greater than 99%. 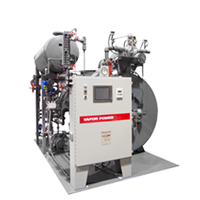 Vapor Power can provide a hybrid boiler room that combines electric and fossil fuel fired equipment that maximizes steam plant efficiency and minimizes fuel consumption.